This paper explores the frequency and consequences of surprise out-of-network billing for emergency care. We find that 22 percent of in-network visits to an emergency room involved out-of-network physicians. Patients face an average balance bill of $622.55 if their insurer only covers standard in-network physician rates. 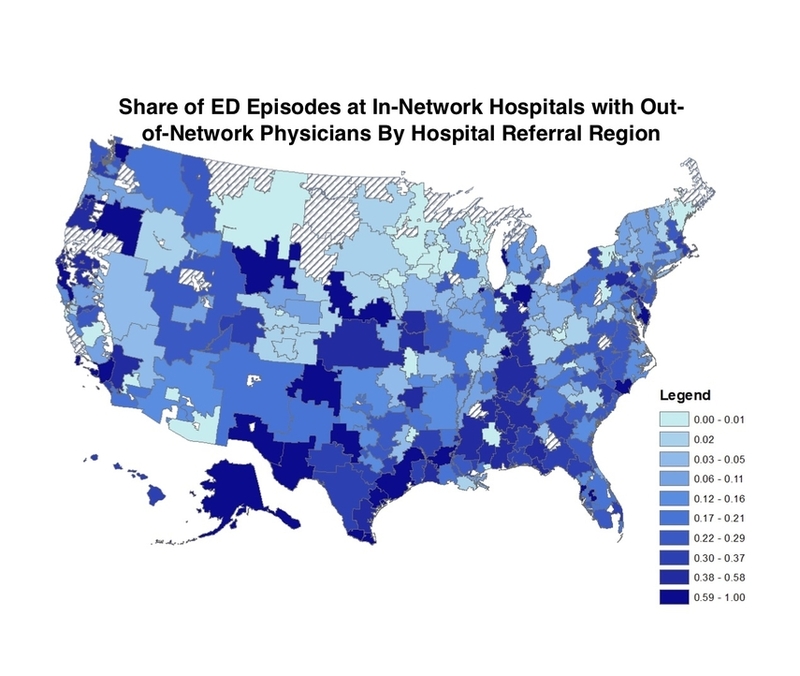 Of the 99.35% of ED visits that occurred at in-network facilities, 22% involved out-of-network physicians. Copyright © 2019 Zack Cooper. All rights reserved.